Getting to the root of the problem starts by recognizing where we are believing a lie in the first place. That’s why Jesus said “You will know the truth, and the “truth” will set you free. Generally speaking a lie can be about anything that contradicts the Word of God. But more specifically a lie results in strongholds in our lives because it keeps us from the truth of our true identity in Christ. Isaiah 5:13 states; Therefore my people have gone into captivity, because they have no knowledge. Hosea 4:6 states; My people are destroyed for lack of knowledge. As you can see, we don’t have a sin problem as much as we have a knowledge of the truth problem. 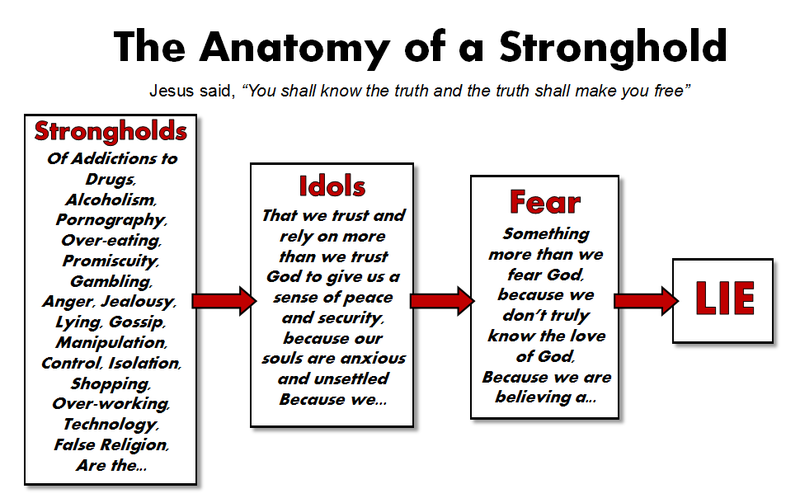 Posted in Most Popular Articles, Image format and tagged Addictions, Christian Maturity, Deliverance, Freedom, Strongholds on November 19, 2013 by Jeff Krall.